CSP issue on Matomo. As a company policy we can’t disable this header. Attaching screen shots for more info. We need to disable mentioned headers as with this headers we are not able to login and getting errors, attached are before and after screenshots. 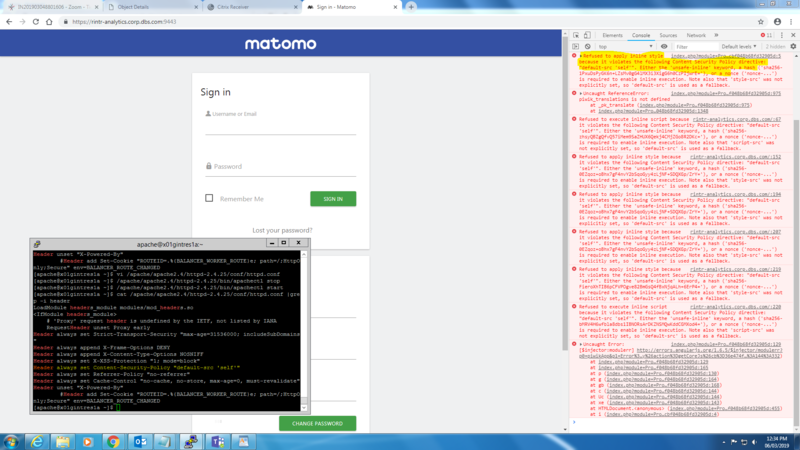 Matomo will not work with very strict CSP, you will need to adjust your CSP.